If there's a niche to be filled, BMW is there. Crossovers are hot right now. So hot that sedan sales are dropping across the industry for both mainstream and luxury brands. Although BMW now has a full range of SUVs (or rather SAVs) to choose from, varying in size as well as one’s budget, there’s one segment it’s not competing in: the SUV convertible. Speaking to , BMW’s director of product planning and strategy Ralph Mahler expressed some enthusiasm when asked about this potential niche. “It’s a really interesting topic,” he said. “All these kinds of questions we have asked ourselves in the past. Whether or not there is a possibility, whether or not there is a market. You see the lineup at the moment. We don’t have one nevertheless I think it’s still an interesting question.” One of BMW’s main rivals, Land Rover, now sells the , though it was never intended to sell in droves. But it does, in fact, cater to a niche market that could potentially be growing. That’s what BMW is keeping an eye. Even Volkswagen will soon sell a convertible SUV/crossover, though it’ll be for Europe only. If BMW does decide to chop the roof off one of its SAVs, which one would it most likely use? 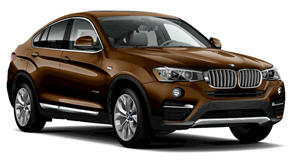 Our best guess is the X4, already a direct competitor to the fixed roof Evoque. 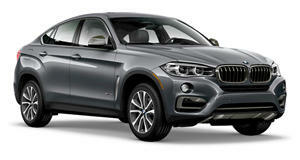 BMW has proved that it’s not afraid to take a chance when it sees a potentially lucrative segment. Just take the original X6, for example. The so-called crossover four-door coupe never existed until the X6 hit the market back in 2009. It became a smash hit and competitors were caught off guard. That success won’t likely be replicated with a convertible crossover, but BMW is smart to keep the possibility open. Just one tip: avoid an awkward design. .